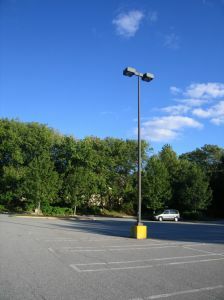 According to an article in the MetroWest Daily News, two men were charged following a fight over parking in Framingham. The men live in neighboring apartment buildings on Wilson Drive. There is a shared driveway between the two buildings. The police received reports of a fight and arrived on scene where they spoke to one of the men (defendant number 1). He reported that he and the other man (defendant number 2) began arguing about a parking space and that defendant number 2 was holding an umbrella in his hand during the fight. Defendant number one claimed that he told defendant number two not to touch him, but that defendant number 2 poked him in the chest with the umbrella. Defendant number one further stated that defendant number two struck him in the head with the umbrella and that he fell to the ground. Defendant number one stated that he was ultimately able to get up and run away. Defendant number one’s friend, who was not identified in the article, corroborated defendant number one’s story. The police then called defendant number two’s cell phone to try and get his version of events, but the call went directly to voicemail. At some later point, however, defendant number two came into the police station and gave his side of the story. According to him, he was trying to pull out of the driveway but defendant number one and his friend were parked so closely to his car that he was unable to get out. When defendant number two asked defendant number one and his friend to move, he and his friend reportedly became “aggressive.” Defendant number one allegedly grabbed defendant number two’s phone and threw it on the ground, shattering it. Defendant number one also reportedly punched defendant number two, and defendant number two struck him back. Defendant number one then moved the car. According to defendant number two’s version, defendant number one and his friend told defendant number two that they were going to call the police and that it would be their word against his. As a result of the defendants’ mutual allegations, the police charged both men. Specifically, defendant number one was charged with assault and battery and malicious destruction of property over $250. Defendant number two was charged with assault and battery with a dangerous weapon and assault and battery. The defendants are considered cross-complainants. In other words, they are both charged as defendants in the alleged incident, but are also the alleged victims. Prosecuting cross-complaints can be a somewhat tricky process because there are Fifth Amendment implications. The Fifth Amendment states that a person cannot be compelled to testify against himself if that testimony is potentially incriminating and/or could result in criminal prosecution. In this case, the Commonwealth would presumably seek to call defendant number one to the stand to testify against defendant number two, but because defendant number one is facing criminal charges himself, he clearly has a Fifth Amendment privilege and could refuse to testify. Similarly, the Commonwealth would presumably seek to call defendant number two to the stand to testify against defendant number one, but because defendant number two is also facing criminal charges, he likewise has a Fifth Amendment privilege and could refuse to testify. While both defendants could both decide to waive their Fifth Amendment privileges and testify against each other, this doesn’t typically happen; cross-complaint cases tend to be dismissed, as people generally do not want to waive their respective privilege and take the risk of their testimony being used against them in their own criminal case. No matter what they choose to do, both defendants will need the help of an experienced defense attorney to advise them of their options, and figure out what the best course of action is for them. Attorney Daniel Cappetta is a former prosecutor, and has been practicing criminal defense for many years. He knows the ins and outs of both sides of the courtroom. He has handled cross-complaint cases as an assistant district attorney, as well as for the defense. If you or a loved one is involved in a cross-complaint case, Attorney Cappetta can help you navigate through the process to get the best outcome possible. Call him for a free consultation today.